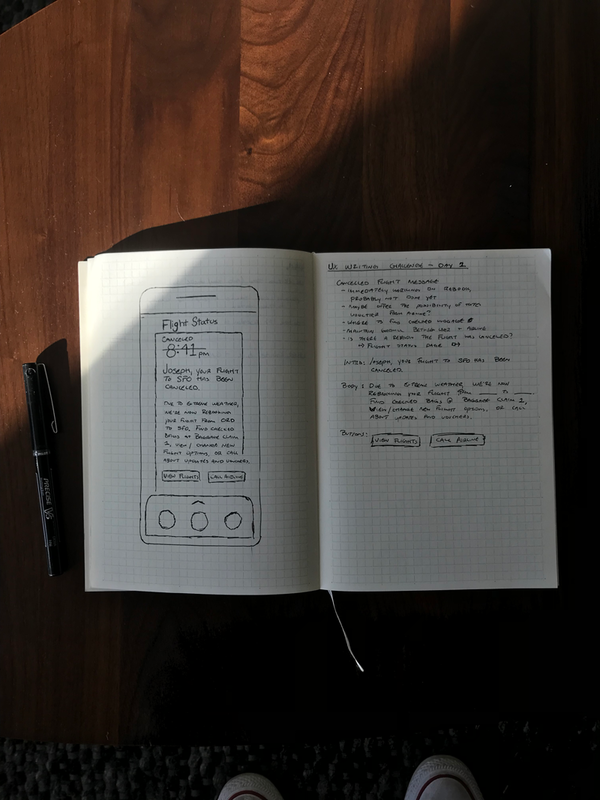 follow along as i do the daily UX writing challenge. Scenario: The user entered the wrong email address to sign in to their account. Challenge: Tell the user to enter the right email. Copy count: 40 characters max. Decided to bring this one to life with Invision Studio. Scenario: A user is a working parent, and a big sports fan, in the midst of their favorite sports season who can no longer attend games. 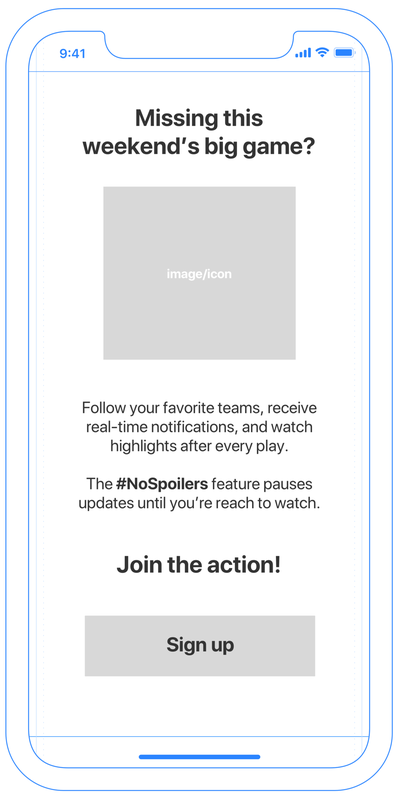 Challenge: Write a promotional screen for an app that lets a user choose teams, sends game reminders, real-time score updates and highlight videos. Scenario: A traveler is in an airport waiting for the last leg of a flight home when their flight gets abruptly canceled due to bad weather. Challenge: Write a message from the airline app notifying them of the cancellation and what they need to do next.